Amazing Community - Avalon Park !! 2 bedroom, 2.5 bath, 2 car rear load garage, nestled on a quiet cul-de-sac. Tile throughout first floor, 42" maple cabinets, upgraded faucets, and light fixtures. All bedrooms upstairs, washer/dryer hookups. Private fenced yard with extended back patio. Tenant occupied until 3.31.2019!! Amenities including the community clubhouse, fitness center, tennis, basketball courts, playgrounds, and more!!! Avalon is located near downtown, major attractions, shops, restaurants, Orlando Airport, etc. Call today to make an apt! Directions:Merge onto I-4 E toward Downtown/Orlando. Merge onto E West Expy E/FL-408 E via EXIT 82A toward Titusville.Take the Alafaya Tr exit, EXIT 21.Turn left onto Mailer Blvd. Turn left onto Cleary Way. Take the 1st right onto Clarkson Dr.
SchoolsClick map icons below to view information for schools near 14754 Clarkson Drive Orlando, FL 32828. Listing provided courtesy of Hampton Real Estate Advisors LLC. MFRMLS data last updated at April 20, 2019 9:21:49 AM PST. Home for sale at 14754 Clarkson Drive Orlando, FL 32828. Description: The home at 14754 Clarkson Drive Orlando, FL 32828 with the MLS Number O5758455 is currently listed at $205,000 and has been on the Orlando market for 89 days. 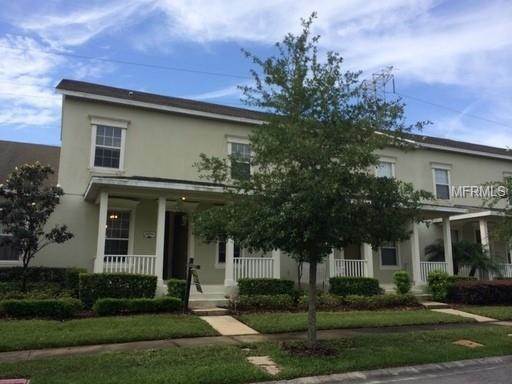 You are viewing the MLS property details of the home for sale at 14754 Clarkson Drive Orlando, FL 32828, which is located in the Avalon Park South Ph 03 subdivision, includes 2 bedrooms and 3 bathrooms, and has approximately 1230 sq.ft. of living area.